SPRINGFIELD — A well-known Springfield church is set to announce a partnership with the W.E.B. Du Bois Center at the UMass Amherst Libraries to promote the writings by the Massachusetts-born civil rights leader. St. John’s Congregational Church is scheduled Monday to give details of the new partnership. The 165-year-old historic church is one of the oldest and active black churches in New England. It has deep ties to the anti-slavery and civil rights movement. W. E. B. Du Bois, 1868-1963, scholar, sociologist, author, and civil rights activist, was the first African American to graduate from Harvard University. William Edward Burghardt Du Boise was one of 60 people to answer a call to protest lynching and the 1908 race riot of Springfield, Illinois. From this action the group formed the NAACP and focused on principles Du Bois had used in his Niagara Movement of 1905. In addition to his many books, magazines, and other publications, Du Bois traveled around the world. In 1926, he visited the Soviet Union. He visited Haiti and Cuba in 1944. He attended the founding conference of the United Nations in 1945. In 1948, he was appointed co-chairman of the Council on African Affairs. In 1949, he attended the world peace congress in New York, Paris, and Moscow. He returned to the Soviet Union in 1958 and stayed in China in 1959. That same year he joined the Communist Party of the United States. In 1961, he moved to Ghana after an invitation from the president and became a citizen in 1963. W. E. B. 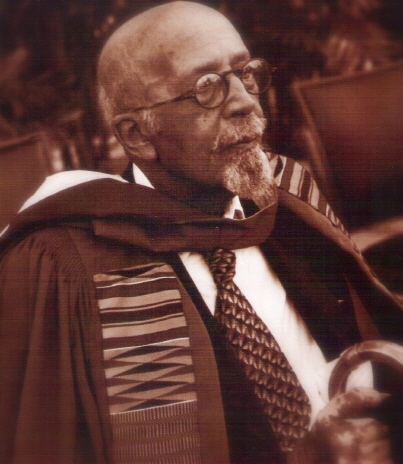 Du Bois died on August 27, 1963 in Accra, Ghana.